The Department of Higher Secondary Education, Kerala (DHSE) has revised the dates for Kerala Secondary School Leaving Certificate (SSLC) 2019 exams. Kerala SSLC exams will be conducted at 1:45 pm from March 13 to 28 this year. As per the earlier schedule, the SSLC 2019 exams were planned between March 13 and 27. However, students were concerned about Social Science and Maths exams being conducted on consecutive days. The new timetable now provides a day (March 26) between the two exams. The model exams for SSLC 2019 will be held between February 18 and 27. 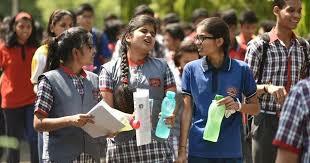 This year, it has also been decided to hold the SSLC, Higher Secondary and VHSE exams separately.